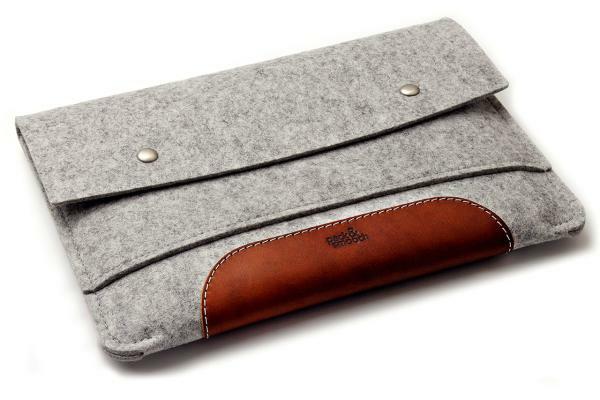 Product information "iPad Pro sleeve Hampshire - tailor made for iPad / iPad Pro from 9.7-inch to 12.9-inch"
Better living for the tablet, free according to the principle "Smooth & Safe". The Hampshire defiantly defends every iPad including Smart Keyboard / Smart Keyboard Folio / Smart Folio against anything that scratches, scrapes or sullies. 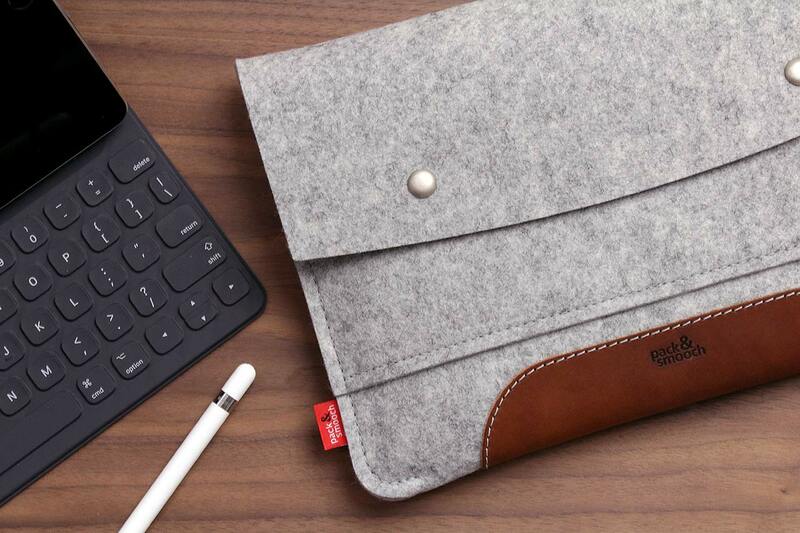 In the front pocket of the tablet sleeve, smartphone, notepad & other gadgets are snug as a bug in a rug. Everything is kept safe and sound with ultra-flat magnetic locks. 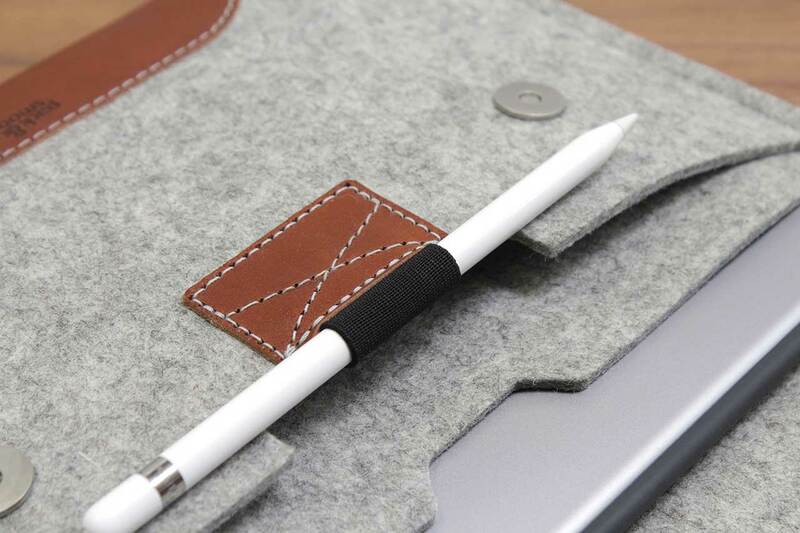 That's what the high-quality wool felt is for, which is what this minimalist iPad Pro sleeve is made of. In addition, you have a contrast look through the real leather applications on the underside, which have been selected to match the color. 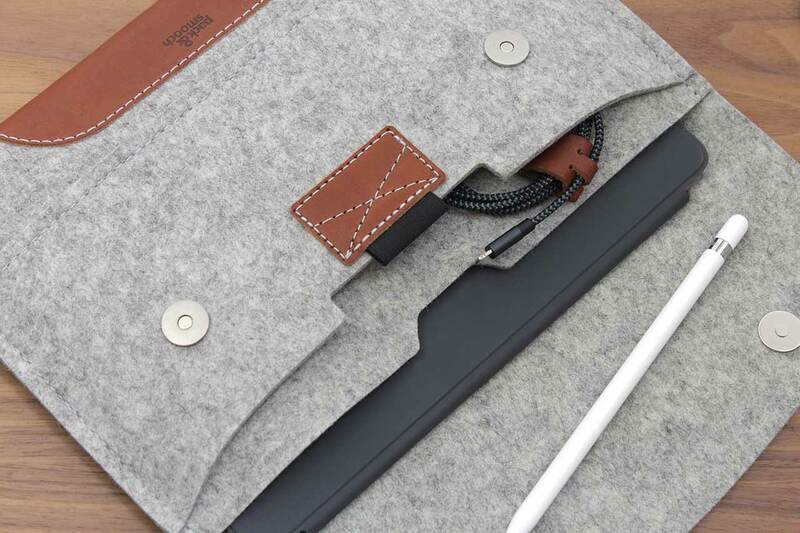 In the front pocket of the tablet case, Smartphone, notepad & Co. find a cosy place and you always have your most important utensils with you. Everything is securely held together with ultra-flat magnetic fasteners. That's what makes working fun! 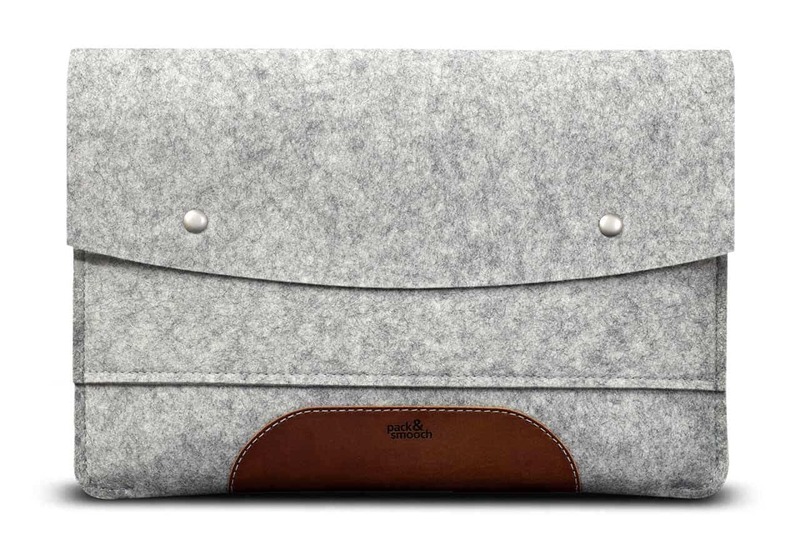 Related links to "iPad Pro sleeve Hampshire - tailor made for iPad / iPad Pro from 9.7-inch to 12.9-inch"
Our Hampshire sleeve for iPads like iPad Air, iPad Pro 11" / iPad Pro 12.9" or other iPad devices is easy to clean and care for. If the wool felt becomes slightly soiled, the product can be carefully cleaned with a damp cloth. Heavier soiling can be treated with a mild soap solution and dried with a soft cloth. Small scratches in the leather can usually be gently rubbed out with a damp cloth. Larger scratches can be removed with a little bit of leather wax applied with a soft cloth. Customer evaluation for "iPad Pro sleeve Hampshire - tailor made for iPad / iPad Pro from 9.7-inch to 12.9-inch"